Spices are gift of nature to India. Their beneficial nature creates a balance in the Indian meal besides enhancing the flavours. 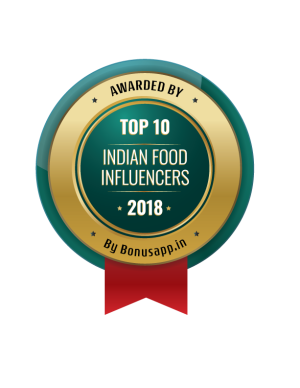 Indian spices offer significant health benefits and due to their therapeutic value and medicinal properties they are used by the pharmaceutical industry. Some spices are considered to have aphrodisiac properties. Asafoetida is a resin obtained from a plant. It has an intensely strong pungent aroma and surely not for the faint hearted. The spice has earned for itself the name ‘devils dung’ due to its peculiar stink. However, that said, you will find it in most Indian kitchens. When added to hot oil or ghee (before the rest of ingredients) it adds a distinctive warm aroma to the dals (lentils) and beans. It is mostly used for tempering. 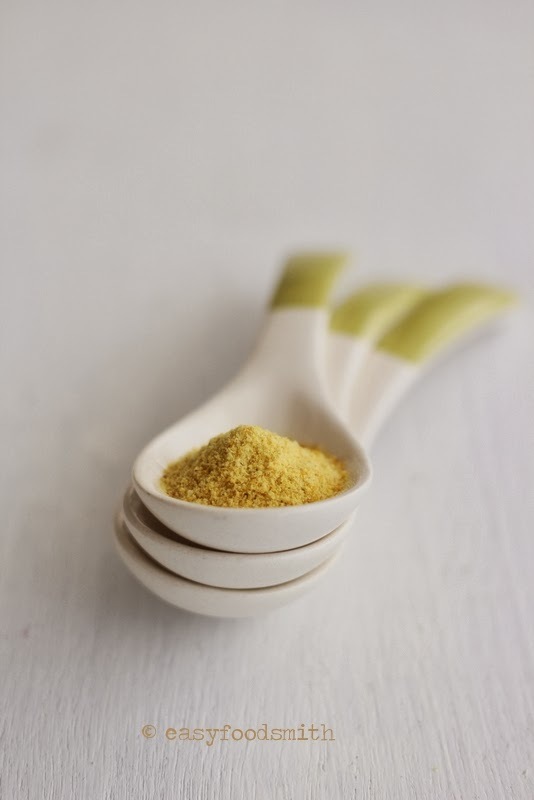 Asafoetida is believed to have digestive and anti-flatulence properties. It is usually added whole in the hot oil along with other spices such as cinnamon, cumin, cloves for meat and chicken curries. For kebabs and sweet treats, the black seeds are extracted from the shell and crushed to powder. It is the third most expensive spice in the world. This aromatic spice is an unopened flower bud. When the flower buds turn bright red they are harvested and dried. 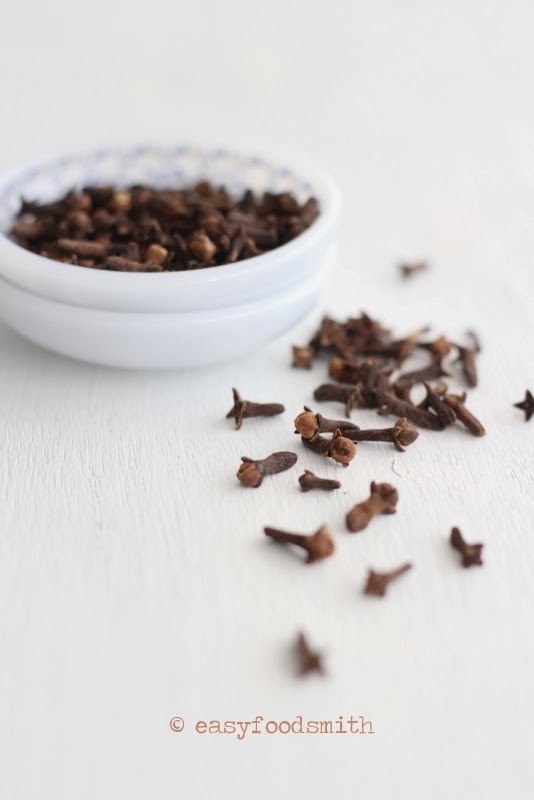 Clove is a robust spice and imparts sweet warm flavor to the food and therefore a little goes a long way. It is used to add flavour to meats, curries and marinades. Although cloves pair well with sweet western dishes, it’s usage in Indian sweets is unheard of. Cloves are used not just for culinary use but also for medicinal purposes. Clove oil is known to help alleviate tooth ache. This warm, woody, sweet spice is the dried bark of a tree. The two popular varieties are Sri Lankan and Chinese variety. But it is the thin barked Sri Lankan variety that is considered superior in its aroma, texture and colour. 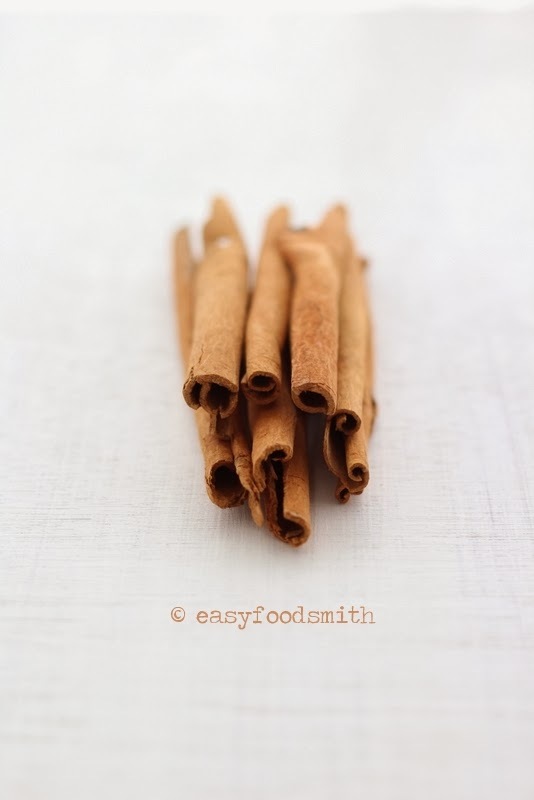 The Sri Lankan variety is often referred to as the ‘true cinnamon’ but is hard to procure. So it’s the Chinese variety, which is called as cassia that is widely sold. Cinnamon is sold in stick and quill forms. Cinnamon is used in both sweet and savoury dishes. It is usually added in powdered form to the sweet dishes such as apple pie, cinnamon rolls, doughnuts, etc. Whereas it is broken in pieces and added to hot oil for savoury dishes. Just like cardamom, cinnamon is used to spice drinks, hot or cold. The Indian bay leaf and the bay leaf used in European cuisine are similar but from different species and hence difference in taste as well. 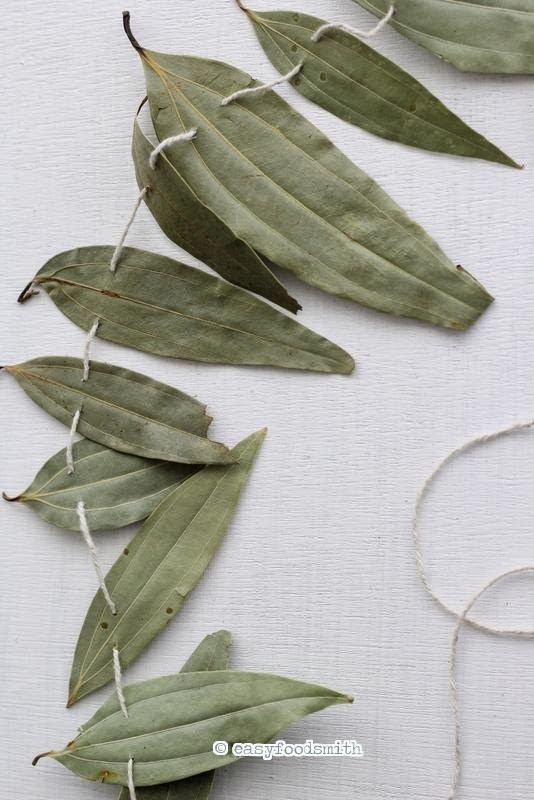 The Indian bay leaf has mild cinnamon flavor and used usually in dried form. The leaves are often used in soups, stews, lentils, meat curries by first adding it to hot oil to enhance its aroma. Add a bay leaf along with black cardamom while preparing rice and note the difference in taste. 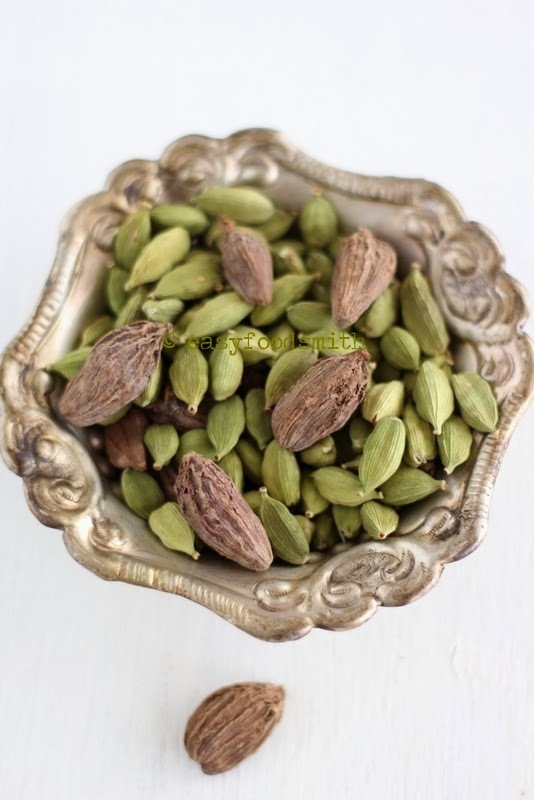 It is used in biryanis and is also used for making garam masala. 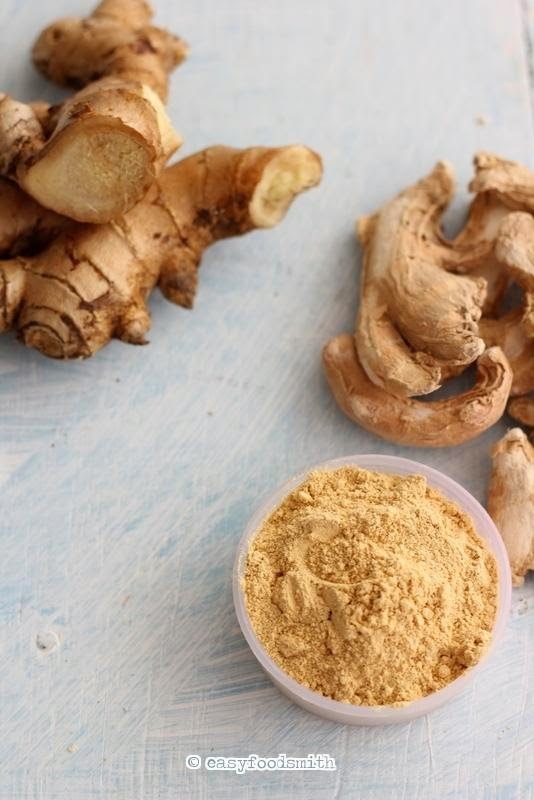 Ginger is a knotty rhizome that has hot and pungent flavor. The more mature the rhizome the more woody and fibrous it becomes. Dried powdered ginger, also known as sonth, is often used in western desserts and baked goods. Ginger, especially fresh (also called root ginger), is widely used in piquant Indian curries and stir fries– vegetarian and non vegetarian. Fresh ginger has the tendency to stick to the bottom of the pan and should be therefore added after onion and garlic along with a dash of water while frying. Ginger is of medicinal value too. It is often used in Indian households to sooth a sore throat by mixing it with honey (ration of honey to root ginger juice = 3:1). The juice is very potent and should be taken in very minuscule amount. Add a piece of fresh grated ginger to tea along with cardamom and it will sooth and refresh you instantly! Ah! 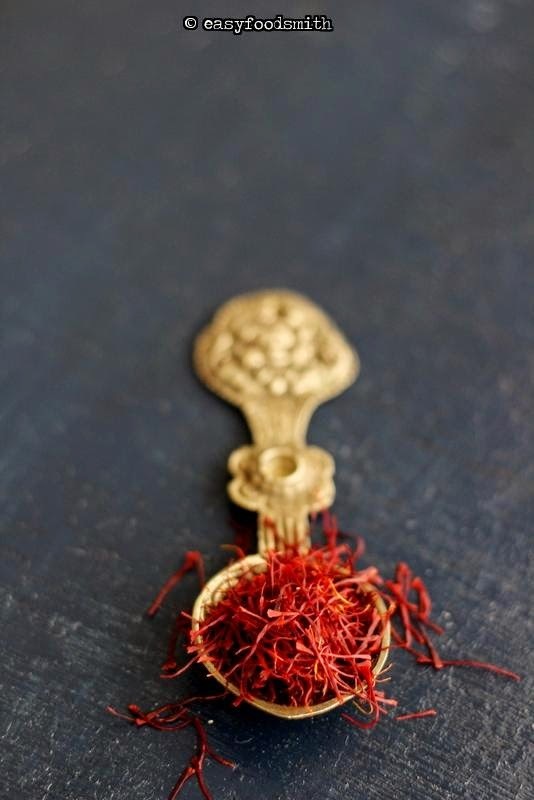 The king of them all…saffron is my favourite spice. Saffron threads are actually stigmas of crocus flower. Saffron is considered the most expensive spice in the world owing two reasons- it takes 200 crocus flowers to derive 1 gram of saffron! This makes it labour intensive hence expensive. It lends a luxurious colour and exquisite taste to the dish, may that be a Spanish Paella, the Indian Kheer& Biryanis, Moroccan Tagine or the Italian Risotto. 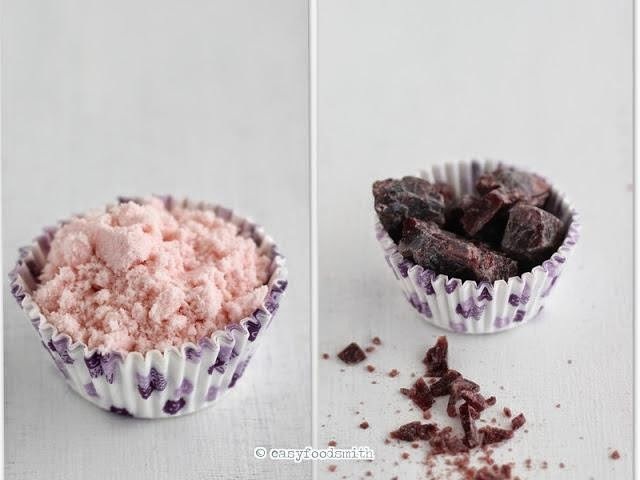 Use it in cakes, loaf, ice cream and other desserts. Enjoy th flavours of this spice in the aromatic Kashmiri tea called Kahwa. Try this Chicken Tikka that has been mildly flavoured with saffron. Its flavours are best derived when it is infused with warm water or milk. Since it is a potent spice, a little goes a long way. Ensure that you buy bright red coloured threads. Amchur is a compound word that is made up of the words ‘aam’ and ‘chur’. Aam is the Hindi word for mango and chur is Hindi for powdered. 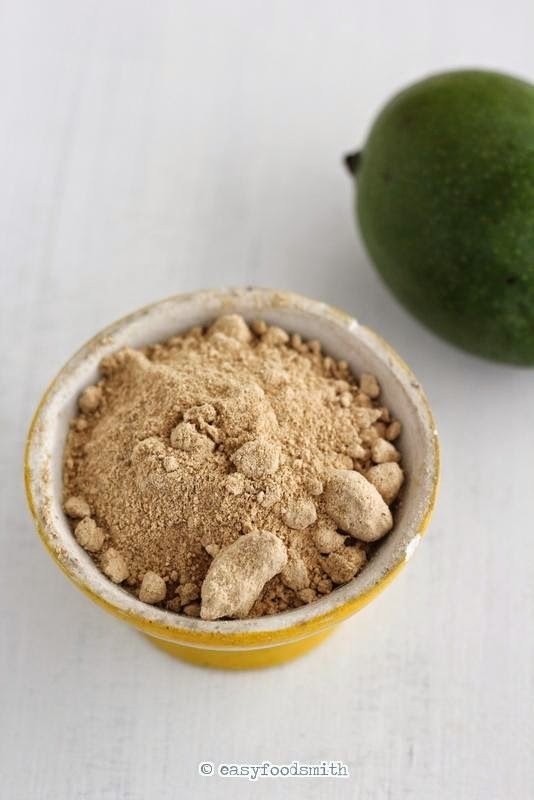 Raw green mangoes are peeled & sliced, sun dried and then powdered. It is one of my favourite ingredients. I love the distinctive kind of mellowed tart taste it lends to the dishes unlike tamarind. It is added usually to the vegetarian dishes such curries, beans and grams, salads and chutneys. It is an essential ingredient for making Chaat Masala. It is used as a condiment for pickles. Use it instead of the regular salt for raita and for chutneys. Sprinkle a little over fruit chaat or cucumber salad. It is one of the ingredients for making Chaat Masala. Don’t forget to check the next part of Indian Spices series. For those who missed the first part of this series…click here. That was a wonderful presentation of our magic ingredients! More spices , more useful information and lovely pics. Thank you. Some new ones (like the first) and some loved ones. 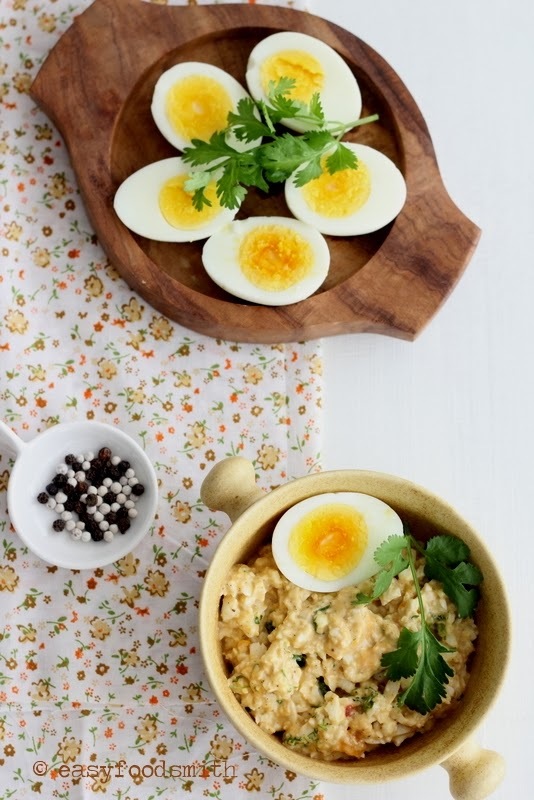 Loving this Indian spice series of posts. You did a great job styling and photographing the spices!! Everything looks irresistible! Great tutorial.. I absolutely love hing, I add it to practically all my subzis. Hope you are having a great week…thanks for the post! Thanks for showing us all this variety of spices! The first spice to me in both names is Greek. LOL Great post! That is a wonderful presentation with a mix of useful knowledge and lovely pictures. Looks irresistible!! PRS spices is a leading spice & herbs supplier that offers range of good quality spices seasonings, cumin powder, chat masala etc. We offer valued spices to meet all cookery needs globally. We are the chain of spices manufacturers and spices exporters of Indian seasonings.